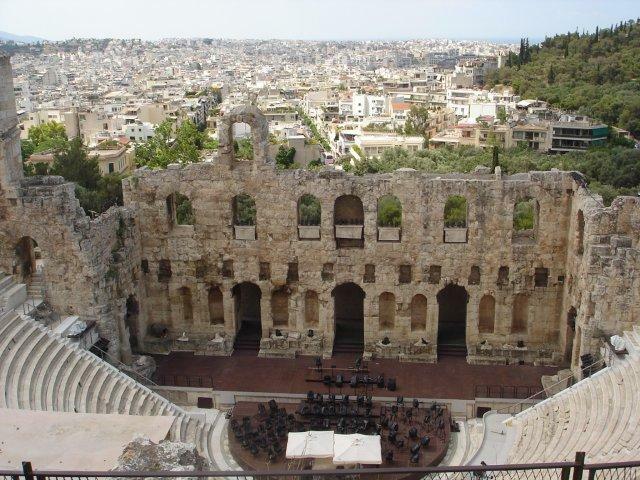 A Small Slice of Athens - Ghumakkar - Inspiring travel experiences. If you are flying on a clear, sunny day towards the Greece mainland and are occupying a window seat I suggest that you raise the shutter of your window. Even if the passenger next to you sighs his or her disapproval at the blinding cone of sunlight, just ignore it and have a look outside. Scattered all over the blue sea (not ‘wine dark’ — I do not know where Homer got that from!) are muddy brown islands. One could only guess what each one is; the larger one could be Naxos, Mykanos and for all you know even Rhodes and the broken ones looking like pieces of a puzzle dropped carelessly on a blue-tiled floor could be Cyclades or Dodecanese islands. But after a while you stop guessing as small details arrest your attention; small sandy beaches, craggy peaks, sheer drops, yellow tracks scratched onto the brown surface and the crisscrossing white lines in the wake of many boats and ships that flit from one island to the other in the vast Aegean Sea. 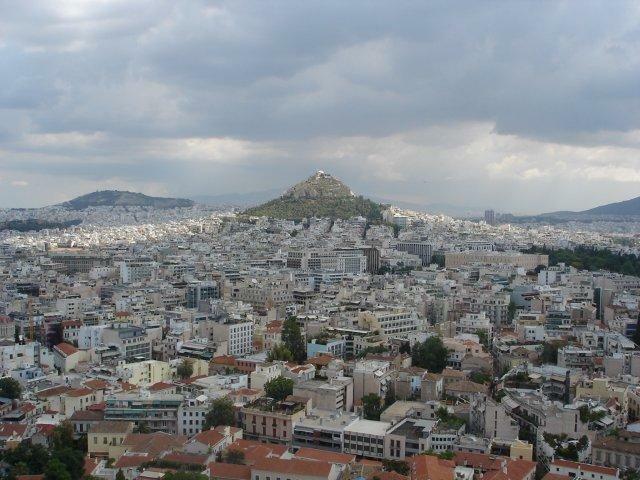 Athens, viewed from above, does not intimidate you with skyscrapers. It does appear a little smeared out across an undulating landscape. Mt. Lycabettus, with its pine-covered slopes and a chapel at its peak, sticks out prominently amidst the sun-lit, twinkling urban sprawl. As the plane makes its final descent onto the tarmac of the Eleftherios Venizelos international airport a wide swath of grey-green unfolds under the distended wheels. Welcome, it appears to say, to the land where the goddess Athena gifted to the world the very special olive tree! Even a short tour of Athens would reveal curious juxtapositions. Amidst all the new swanky office/commercial buildings it is very easy to stumble upon a church or a temple that is more than thousand years old. The Ermou street (named after Hermes – the god of trade), for instance, is a shoppers’ paradise; branded clothes, hand-made jewelry and intricately carved silver artifacts gleam from aesthetically lit shop fronts. Right at the centre of this street, rising out of a large depression, is Kapnikarea. Shaped like a cross (cruciform) this domed church – considered as a good example of Byzantine architecture – was built in the 11th century. One can sit on its short outer wall, sip Starbucks coffee, watch the modern world walk past and experience a strange feeling of being caught in the interstice between two different ages. Other ancient structures, though dilapidated, stand aloof in proud splendor. It is easy to dismiss them as just a jumble of broken down columns and crumbling masonry – my daughter looking at the photographs asked, quite seriously ‘Was there an earthquake’? But only an acquired taste for the past, an active imagination about things that might have happened would force one to look closely at a leaning Ionoic column or mutilated relief carvings of gods on an arch. 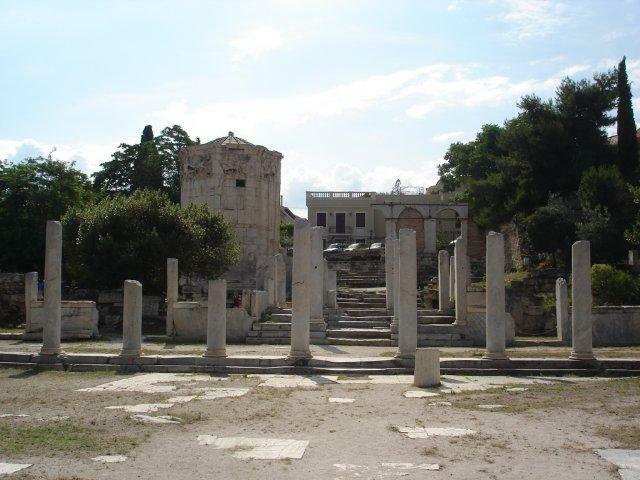 The Roman and Ancient Agora – cultural and religious centers where Athenians had come to not only ply their wares but also to debate on everything under the sun – contain within its large grounds hardly any standing structures. But to walk amidst these lines of broken down pillars is to retrace and follow Socrates and Plato who more than 2500 years ago debated in the same spot issues that ranged from human concerns like courage and virtue to more fundamental assumptions about knowledge and reality. 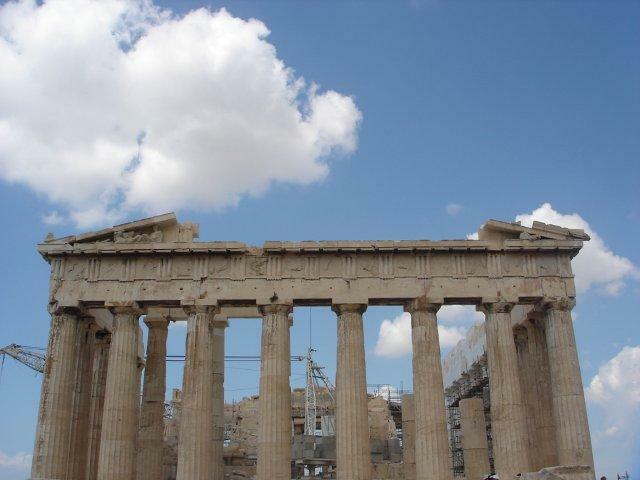 Acropolis or the sacred rock is the axle around which Athens revolves. Crawling with tourists from different lands this site houses some magnificent structures. The Parthenon is the crowning glory. 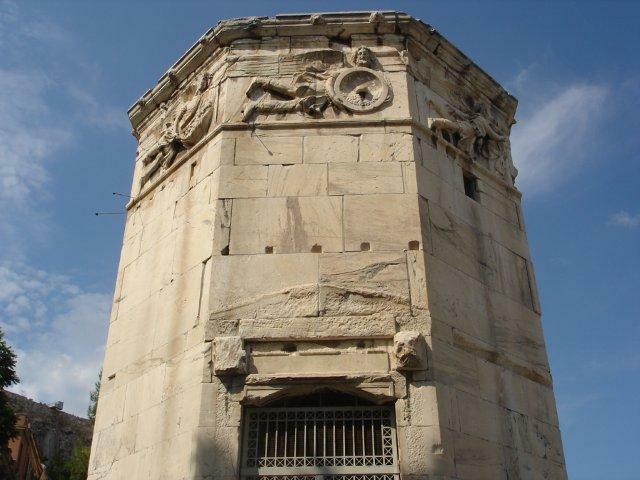 Built around 440 BC this large pillared structure was once a temple dedicated to goddess Athena. A twelve meter gold-plated tall statue of the goddess had once stood at the centre of this structure. But nothing remains now except for the outer shell of giant pillars. A web of scaffold clings on to it as massive efforts are on to preserve these remains. The view of Athens from here is quite splendid. An immediate circle of red-tiled roofs gives way to more modern structures spread all around. Mt. Lycabettus sticks out of this jumble glowing under a slant of sunlight that has lanced through a cloudy sky. [As in the first picture] The early part of the day had been hot and humid but dark clouds have raced in and the first cold spatter of rain hits Athens. The men, most of them South Asians, who had sold water bottles in the morning to thirsty tourists on the way to Acropolis, had transformed themselves to umbrella sellers! The rain stops as abruptly as it had begun. Sitting under the colorful awnings of the numerous cafes that line up these wet and narrow streets the tourists chat excitedly or leaf through their guidebooks and maps as steaming bowls of sea food or fresh Horiatiki Salata is served. Like me most of them look happy and would probably come back to this charming city of antiquity. Pictures are good too. It’s a beautiful city and your pictures show the same. Make us read more of you and also please respond to comments when you get time. Thanks. When the subject is inspiring the photos and writing just happens. At least, that’s what I think. My heartiest congrats on this so true to reality post. It captures the spirit of Athens most appropriately and the awe inspiring pictures blend extremely with the write-up. Brings back whole lot of memories of this place since I had visited it in 2009. 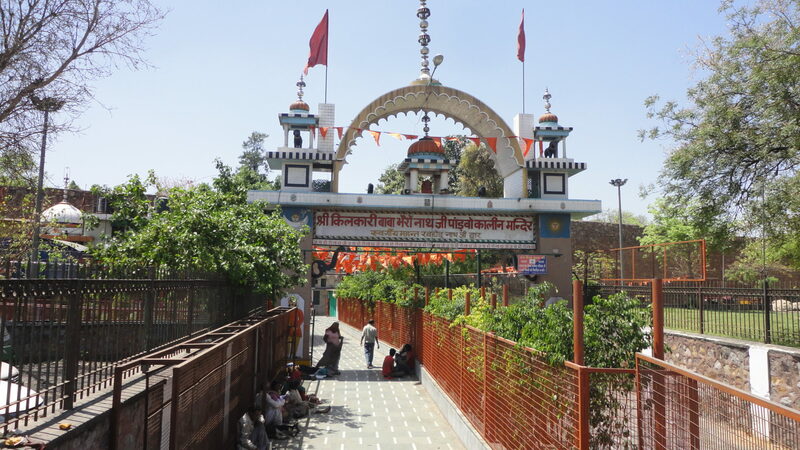 The Bhairav temple had that the mighty pandavas had gone to their heavenly abode after renouncing the kingdom for which they had fought a battle. It has also seen the gradual deprecation within the kingdom that continued upto the reign of Janmejay. The question about the ultimate fate of descendants of Yudhisthira always remains unanswered to me.